Nebulizer (inhalator) – is a device that converts the drug solution into a cloud of mist (aerosol) of small particles for inhalation. 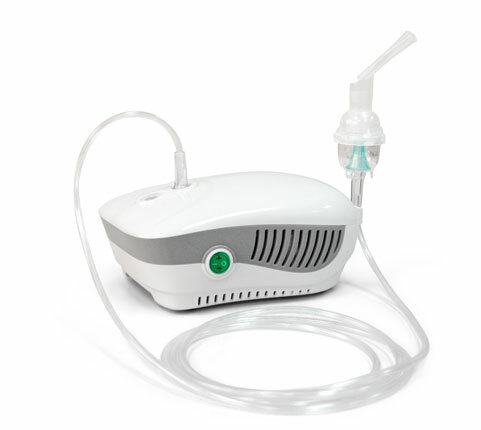 The aim of the nebulizer therapy is to deliver therapeutic doses of the desired drug into the respiratory tissues over a short period of time (5-10 min). At home for the whole family! Up to 10 inhalations without recharging! Configuration Nebulizer chamber, air tube, mouthpiece, adult mask, filters x 5. Can be equipped with a pediatric mask. Nebulizer chamber, air tube, mouthpiece, adult mask, filters x 5. Nebulizer chamber, pediatric mask, mouthpiece, adult mask, nose piece, filters x 5. Nebulizer chamber, air tube, mouthpiece, adult mask, filters x 5. 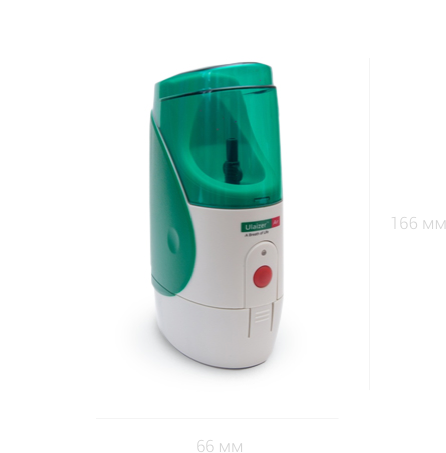 Characteristics A compact nebulizer has modern design, full configuration and low noise level. 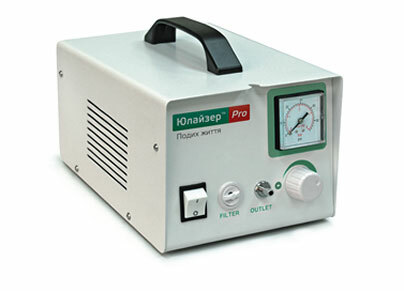 A compact nebulizer equipped with a compartment for storing components. 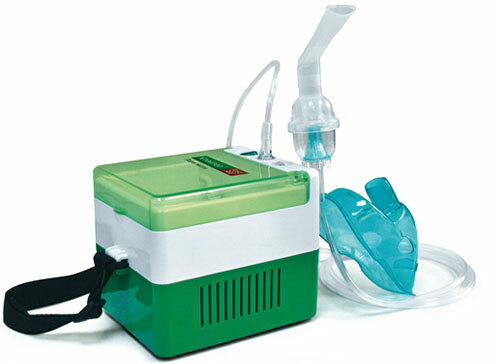 An ultra-compact nebulizer is powered by rechargeable battery, car charger and 220 V network. Possibility to adjust the drug flow rate. * LORDE® hyal, Decasan®, Nebutamol® and analogues, Nebufluzon® and analogues, Ingamist® and analogues.